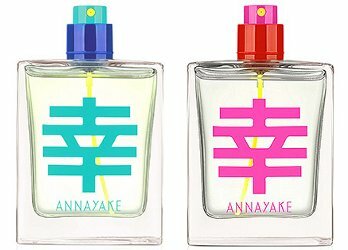 Japanese beauty brand Annayake has launched Bonheur, a new youth-oriented fragrance duo. The Bonheur fragrances were developed by perfumer Henri Bergia. Bonheur for Him (above left) ~ With grapefruit, mint, cedar, marine accord, sandalwood and white musk. Bonheur for Her (above right) ~ With pomegranate, yuzu, peony, magnolia, amber and white musk. The Annayake Bonheur fragrances are available in 50 ml Eau de Toilette.